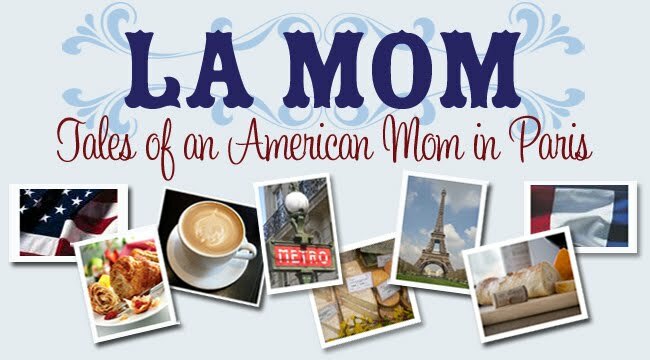 La Mom - an American mom in Paris: Chugged! What's the nickname for the French maman whose fall wardrobe consists of nothing but Chanel + Uggs? Chuggs is dressed to kill herself. I guess it helps when you work chez Chanel and the boutique is your personal closet. Did I mention Chuggs intimidates the fromage out of me? In fact, everytime I see her, it seems like something is wrong with moi (messy hair, shoes/hand bag color mismatched, white bra showing through the black top - you get the idea). Stupid things to worry about? Oui! Stupid things that take on a huge importance when you're face to face with a Chanel clad fashionista? Oui! Oui! Oui! So, when stuff like this happens, I've started saying that I've been chugged (it's kinda like saying, "D'oh!"). 1. After Chuggs picked up Petit Chugg at our place, I caught a glimpse of myself in the mirror. Chugged! A baguette crumb was hanging off of my chin. Très embarassing! It was there the whole 5 minutes we spent talking in the hallway. Chuggs was so polite to keep her eyes focused on mine and not on the crumb that coudln't be missed in the middle of my chin. 2. After dropping Big Fry off for a playdate with Petit Chugg, I realized with une grande embarassement, that I was wearing my Zara immitation Chanel Boucle wool blazer. Chugged! Umm, why did it not occur to me to ditch the faux Chanel and wear something else to Chuggs' place? Of all the clothes in my closet, why did I pick the cheap Chanel knock-off to wear? Of course Chuggs can tell the difference between a real Boucle at 2000€ and a faux Boucle at 80€. 3. See La Mom get a cool new pair of skinny jeans. See La Mom giddy with excitement wearing them with her hip riding boots (that she had shipped from Nordstrom - they ship internationally!). See La Mom meet Chuggs at the Parc Monceau for a trotinette playdate. See Chuggs look at La Mom's waistline. See La Mom look down and realize her fly is down down down on her new jeans. Très chugged! 4. Oh la la! Last night I remembered that I had dressed Big Fry in the same outfit for the last two playdates with Petit Chuggs. Chugged! Mais bien sûr Chuggs noticed that, don't you think? It's her business to notice clothes. Even Big Fry's. 5. Small Fry walked into the kitchen as I was having a café with Chuggs. Her hair was a mess and I thought to myself that the nanny has dressed her like an orphan. I was so embarrassed in front of Chuggs. What could she be thinking? And more importantly, why should I care? Then Small Fry said, "Je dois faire caca mommy". So do you know someone who you feel chugged around? 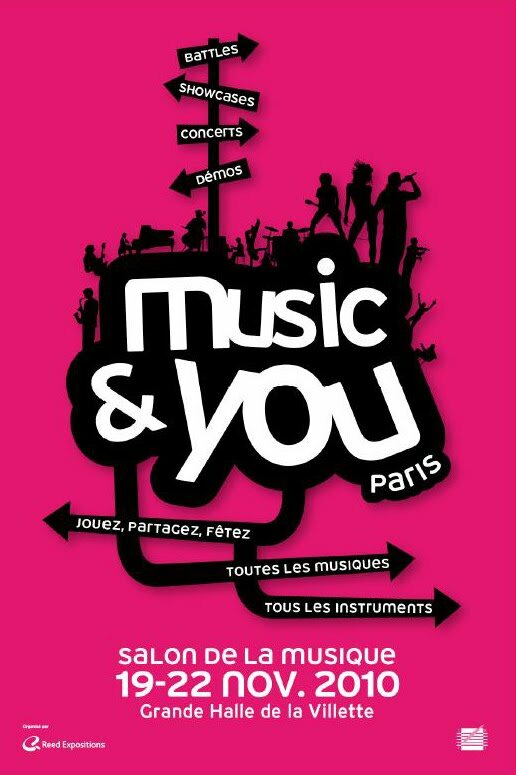 Music & You, c’est le rendez-vous de la pratique musicale en France pour les passionnés, amateurs, professionnels et curieux !! Le salon a lieu à Paris (Grande Halle de la Villette) du vendredi 19 novembre au lundi 22 novembre. Des concerts, des invités, des démonstrations, des rencontres… sont au programme, ainsi que des ateliers, un parcours ainsi que des spectacles conçus pour les enfants ! & des évènements insolites comme le plus grand rassemblement de ukulélé au monde !!! i cannot believe no one commented yet....AM I THE ONLY OTHER PERSON WHO KNOWS EXACTLY OF WHAT YOU SPEAK??--incroiable! each of the things you mentioned have happened to me-usually with the same person...thank goodness not all on the same occasion. my biggest fear is the dreaded something in or around the nasal area...but to my knowledge ,this has not happened, not yet anyway! sorry for the length...but this REALLY struck a cord. i've been chugged more than i EVER care to admit, at least to anyone else other than my international jet setting friend La Mom. I feel "chugged" by just about everyone these days! Such a great term, I think I'll be adding it to my vocabulary! I have just discovered your blog - love it, and plan to read as often as my children will allow it!! I love your post. I often get chugged in Dubai - here one wears Hermes bags and Louboutins on the school run or drive, should I say. Obviously one drives a Range Rover. Then there is me, in my little Jeep which loses a part every time I slam the door, wearing flip flops and a so-last-season bag. Oh well.. I am going to Paris for a few days next week, I'll look out for your chugg lady! How can you be intimidated by a person wearing Uggs, no matter how expensive her jacket? No amount of Chanel can make up for the Uggs. Ok I have to wander into this debate. Being an Australian (The home of Ugg boots) it is so NOT fashionable to wear Ugg boots anywhere but inside your house while wearing Pyjamas. Your 'Chugg" friend is not showing her sophistication or trendiness. The Chanel, yes, but with Ugg boots in public, NO way! In australia we call that a Bogan! Sorry, I think you may have gained one up on your Parisian friend here. As to your constant 'chugs' within her siight, repeat after me..... One must not wear Ugg boots out of the house!! Tee hee - gotta agree with StyleSpy. Dahlink, it's 2010... *nobody*, no matter how French and fabulous, should be wearing Uggs anymore. And that includes the new Jimmy Chuggs. "How can you be intimidated by a person wearing Uggs, no matter how expensive her jacket? No amount of Chanel can make up for the Uggs." As chugged as you may have been, Chug Mom must like you, since you seem to see each other often. And I wouldn't consider your Zara jacket a knock-off, but an "designer-inspired" trendy jacket. Oh yes, and no fashionista who takes herself seriously would ever wear Uggs in public! Quel horreur! Hi la mom, I find a bit disturbing to see that several of my comments never appeared on my blog even though I don't think they were offensive - offering an alternative view, yes maybe from time to time? Is your comment moderation to be likened to censorship? That would be so un-American and un-French if I dare make up these words. Keep up the good work, your blog is funny and entertaining. This post was hilarious and a bit surprising: As a Parisian myself, living in a "chic" arrondissement, working in fashion and so surrounded by very stylish persons ( very!!) I feel chugged by a lot of people, even my boss'dog chuggs me!! 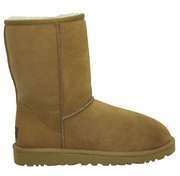 ;) but I also can say and without a doubt that Uggs are not fashionnable at all!! and when I say at all it is actually considered very tacky and cheap not matter what you wear with , even a Lanvin Haute couture dress can't make it up for it!!! so next time YOU chugg her!! Been chugging through life in the 16th for 6+ years now and, oh, la, la! do I know of what you speak! I even feel chugged by my expat friends most of the time! Great post, La Mom. I just found your blog and love it. Will be back! Oh I know exactly this feeling!! Endless mortification, even moreso because you know it is ridiculous!! So you end up mortified that you are mortified! You crack me up!! I love your style of writing and more importantly the way you think. So clever and hysterical. Any chance of hanging out with a CA mom realizing her childhood dream of visiting Paris? !